Knowing how to learn Dutch from Afrikaans is very important because you need to know how to compare the languages, how they work together, and which one you need to know. People who are trying to learn these languages for the first time need to know which one to start with, and they also need to know why they would learn one over the other. It is a very simple process once you know where you are going with, and you should begin your study only after you know what you need. The question revolves around whether you need to know Dutch, Afrikaans, or even Flemish. Dutch and Afrikaans are very similar, but they are not the same. A native speaker can tell the difference, and they will know if you have learned one over the other. You cannot fake it, and you cannot create your own language by mashing them together. How do you learn a new language, use it in the right place, and gain the facility that you need that allows you to speak to the public. You need to know how to tell the difference between the two because the Dutch and Afrikaans languages compare very well, but they are not the same. You can use words from both to cross over in the languages because people who speak them already realize that they are so similar. However, you should know who you are talking to when you do this. People who are native speakers of one language or the other will be put off if you are using the wrong vocabulary, and people who meld the languages because they work in business or travel will understand how you have created a language of your own. Flemish is a related language that has floundered over the last 100 years. The formation of very solid country boundaries has pushed Flemish to very small regions of Southern Africa and The Netherlands. You will come across cities where people speak Flemish, but they are still living in a Dutch world. It would be an oddity for you to walk into a small town that has nothing but signs in Flemish. This is even more true if you are in Southern Africa. Flemish is spoken by a few people here and there, and you need to know how its words play into Dutch. You are welcome to learn Flemish, but that would be something of a hobby that has very little use. Its history informs you, but that is all it does. Afrikaans was simplified from Dutch because it was used in Africa at a time when people were learning how to speak to the natives. This language started to pull in words from the Africans who lived in the region, and the language was used in business transactions that were all written down, harried, and happening in an untouched wonderland that was hard to navigate. You can learn Afrikaans, but you will miss out on some of the finer points or Dutch because the Dutch language is so much more complex. This is not to say that Afrikaans is easy. Afrikaans is just as hard to learn as Dutch, but it is put together in a different way. Because of this, you need to be aware of what you can do with this language so that you will speak it well if you are in Southern Africa or you are working with people who have been speaking Afrikaans for some time. You could get to know these people by using the language, and you might even make friends so that you can practice. 4. What Do People Understand? People understand Flemish, Dutch, and Afrikaans in a swirling pool of words that are all shared among the languages. You need to know that people will pick up on some words that are common among these languages. You need to be sure that you have picked up on those words alone, and you might study the languages online to learn how they share words. 5. How Functional Do You Need To Be? You need to be functional in these languages so that you can do well in school or at work. There are a number of people who could learn a little of each language so that you can use it at work or at school. You will need to have a deep understanding of the language if you are in school, but you can get by with basic words and phrases if you are doing a business deal with someone. You only need to be fluent if you are concerned that your clients will not take you seriously without it. You can study online to learn the language, to pick up more words every day, and to learn how to use the language in the right places. You could learn Dutch if you are doing business in Europe, but you should learn Afrikaans if you are doing business in Africa. You can study both if you need them, or you can learn one while picking up words from the other. Your desire to learn will pay off, and it will help you have a vocabulary that will impress people even if you do not sound like a native speaker. Speak to real people when you need to learn a language because real people will correct you on your Dutch or Afrikaans. They are learning English from you at the same time, and they are very excited to help you learn their native tongue. They will ask you questions about how the language compares to English, and you must be certain that you have an app that allows you to text so that you can learn how to write the language along with an app that allows you to speak to people. This is the perfect thing for a new learner, and it works really well because it helps you make friends at the same time. You need to make sure that you have separated the two languages because they are still different. You do not want to offend people because you are using both languages interchangeably, and you also do not want to confuse yourself. 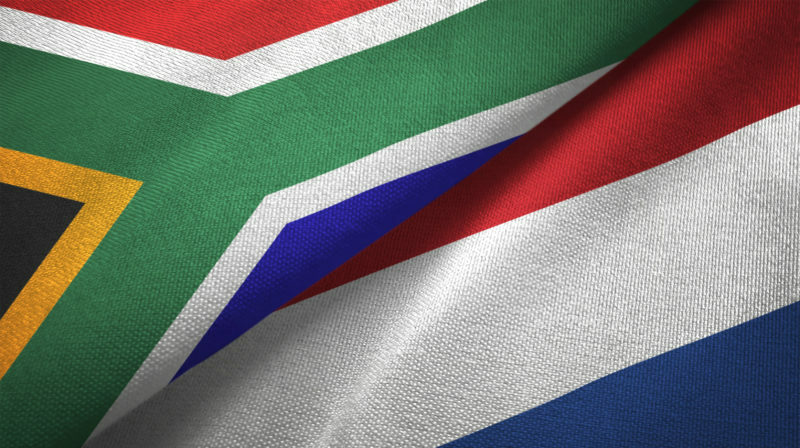 You can learn both of these languages, extract Dutch from Afrikaans, or learn Afrikaans if you already know something about Dutch. You can gain a lot of facility, and you will even make friends while you practice every day.